Sanford sometimes gets overlooked in the sprawl of the metropolitan Orlando area, but it is a unique old town on Lake Monroe about 22 miles north of downtown Orlando. Lake Monroe is a wide spot in the St Johns River and has always marked the upstream limit of major navigation on the St Johns. Steamers from Jacksonville and points north had to stop in Sanford or Enterprise on the opposite shore of Lake Monroe because the river gets too shallow as you continue upstream. Because of its location at the head of navigation of this major river, Sanford was known in the very early days as the"Historic Waterfront Gateway City". The first residents of the area were ancient Native American tribes. After them, the Seminoles arrived in the late 1700s and early 1800s. During the Second Seminole War (1835-1842), the Seminoles burned Palatka, a town on the St Johns River north of Sanford. The United States Army built Camp Monroe on the south shore of Lake Monroe as a defensive measure. In 1837 the Seminoles attacked Camp Monroe and the only American casualty was Captain Charles Mellon. The name of the camp was changed to Fort Mellon and the town that grew up around it was known as Mellonville. The Army built a road from the fort whose route is still in use in Sanford. It's currently known as Mellonville Avenue. The area began to grow after the Seminole Wars when it was safe for settlers to set up homes and farms. Orange groves were planted and an orange packing plant was built in 1869. A year later General Henry Shelton Sanford bought more than 12,000 acres west of Mellonville and laid out a new town he called Sanford. The first permanent residents of Sanford included many Swedes who were brought in as indentured servants and did the hard work of clearing the land and planting citrus groves. By 1883, Sanford annexed Mellonville and began to prosper as railroads came to town to supplement the river traffic. One new railroad connected Sanford to Tampa; another ran north to Jacksonville. The town was now on the map and this was reinforced in 1883 when President Chester A. Arthur spent a week vacationing in Sanford. Like many other Florida settlements, Sanford had its growing pains. It was almost totally destroyed by fire in 1887 and the fire was followed by a yellow fever epidemic. The crowning blow was the destruction of the citrus industry by the Great Freeze of 1894 and 1895. Farmers adapted by turning their groveland into celery farms. The first celery was planted in 1896 and the celery crops were abundant and became the major industry in town. When I first came to Florida in 1960, Sanford was known as "The Celery City"and retained that official nickname until 1974. The industry is still immortalized in the names of some local streets and business establishments. Sanford today is a modern city with marinas and parks on a bustling waterfront and a downtown area that has been renovated and turned into a vibrant district with many shops and restaurants. Its residential neighborhoods are shaded by ancient oaks draped in Spanish Moss. 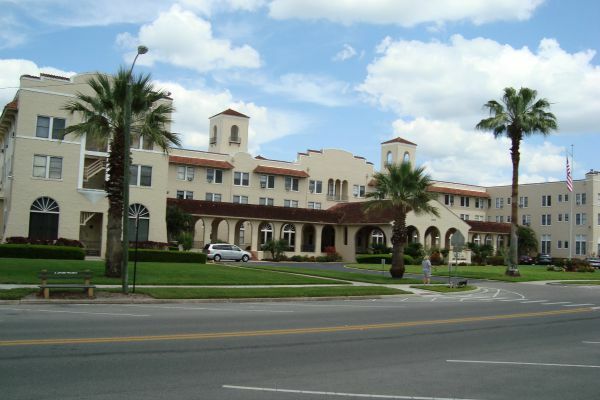 Sanford has a strong sense of community and a distinctive identity in busy Central Florida. The old Naval Air Station from the World War Two era was converted many years ago into Sanford Airport and has since evolved into Central Florida Regional Airport. This airport is a major arrival and destination alternative to Orlando International Airport to the south. The Amtrak auto train route also begins in Sanford where you can put your car on the train and travel north to Lorton, Virginia. Interstate 4 is on the west side of town and offers a quick jump to Orlando or Daytona Beach. 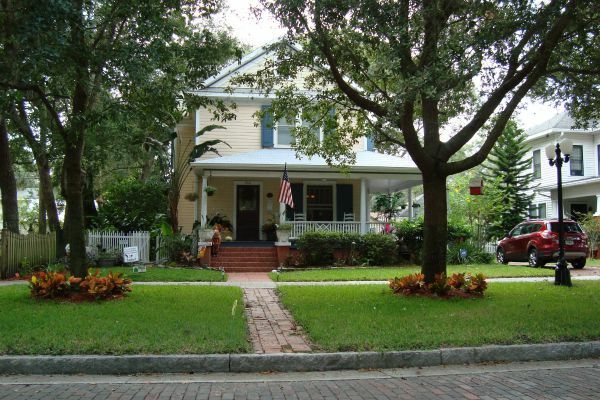 Many historic commercial buildings and homes in Sanford have been carefully preserved. The old Mayfair Hotel was built in 1925 and became the Sanford Naval Academy in the 1960s and 1970s. The building is currently the home of New Tribes Mission, an international missionary group. It is on the south shore of Lake Monroe and still looks great. 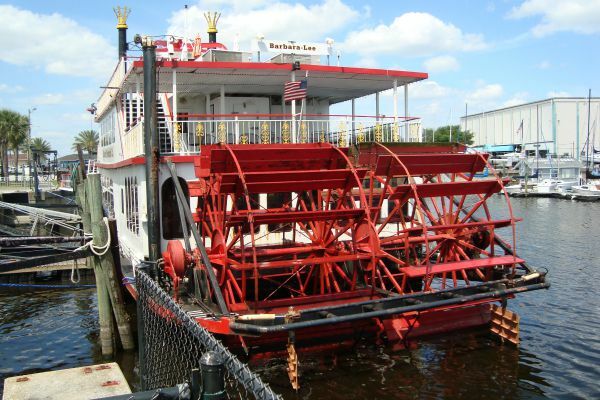 The marinas along the downtown waterfront are home to many pleasure boats and also have tour boats for hire along with excursion type boats that resemble paddlewheel riverboats and will take you sightseeing or on a dinner cruise. 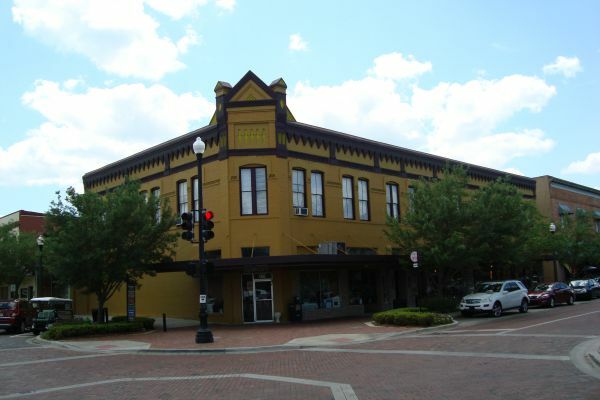 Sanford's revitalized historic downtown neighborhood extends four blocks along West First Street. The Corner Cafe is in an old restored building within this neighborhood. It has many other restaurants and cafes as neighbors, along with numerous antique and gift shops. The entire neighborhood is a delight to visit. One of the biggest delights is having lunch or dinner at The Corner Cafe. It is a small unpretentious place on the ground floor with a few booths and tables where everything looks clean and inviting. 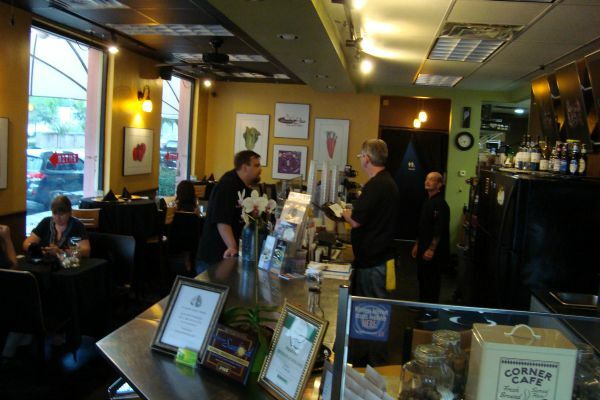 Owner Mike O'Brien also owns a catering company, Gourmet2Go, and the restaurant's full name is "The Corner Cafe - Home of Gourmet2Go". Although the cafe has an extensive sandwich and soup menu for its lunch clientele, it also has a great dinner entree selection. Some of their most popular sandwiches are The Cubano, The Italiano, The Bacon Lover, The Comforter and The Classic. These sandwiches are made with meat prepared in their own kitchen including ham, pork, bacon, chicken, tuna and more. Their soups are all fresh and feature celery vegetable, tomato Florentine, potato, creamy mushroom and "campfire style chili". Salads are fresh too and include Cobb, Vietnamese, Greek, Beef and Bleu Cheese, Chicken and Tuna. You will find something you like to eat, along with a full selection of coffees and teas including Cappuccino, Latte, Misto and my favorite: a plain old delicious cup of coffee. Although there is outside dining available, it was a bit hot outside so my companion and I decided to eat inside. We were there for an early dinner and were escorted to a nice booth. We zeroed in on the dinner menu that was carefully explained to us by Mike. 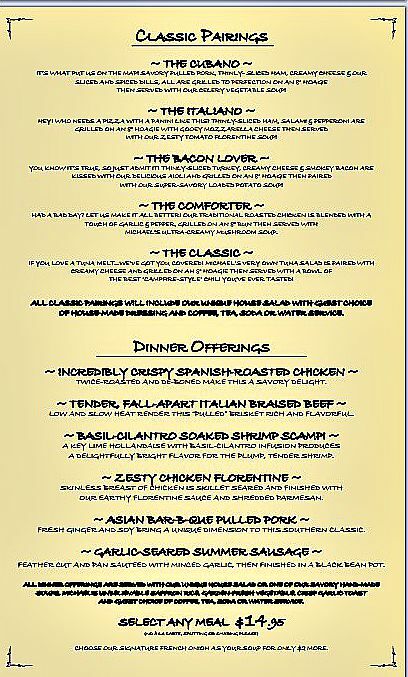 This dinner menu features "Classic Pairings" where you can either choose one of their most popular sandwiches with soup, or an entree that will include any of the soups that typically come with the sandwiches. All of the entrees are reasonably priced at $14.95. The dinner offerings were imaginatively titled versions of roasted chicken, braised beef, shrimp scampi, chicken Florentine, barbecued pulled pork and garlic seared summer sausage. We each chose the "Incredibly Crispy Spanish Roasted Chicken" and I chose"Campfire-Style Chili" as my soup and my companion chose "Super Savory Loaded Potato Soup". Our dinners were great and so was the house Chardonnay that we had with dinner. 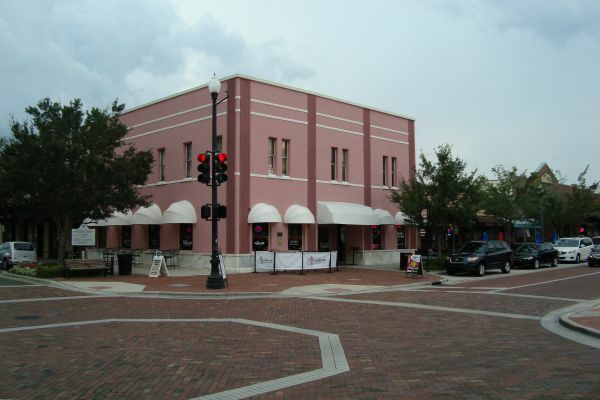 This is a place that you will enjoy visiting when you are in Sanford. I predict you will visit more than once.